rodeasdown.com.au – Good conversation, good music, and what you’re missing out on. 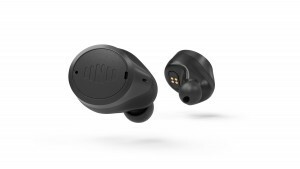 Early this year I wrote about my great idea for hearing aids; make them look like cordless earbuds. The expensive problems of miniaturisation would be largely eliminated and people with hearing problems would suddenly look cool. Well, my idea came about ten minutes too late. Several clever people have already got it up. A reader suggested I try buds from local company Nuheara called IQ Boost. Another directed me to the Bose USA website where they sell buds wired to a neckband, called Hearphones. Both are pitched at more than listening to music, they also promise to enhance the wearer’s ability to hear conversations around the table and what’s being said on the telly. They mention noisy restaurants too, another pet peeve of people suffering partial hearing loss. I can’t speak for the Bose, although my ‘aging hipster’ reader was enthusiastic, but I did get my hands on the Nuhearas. When you eventually figure the app (tip: download both) and do the hearing test it tailors the sound to your hearing. It told me I had weakness in the upper range (I knew that) and pumped it up. I like a strong high range but this was a tad over the top; the highs became almost brittle and sharp – almost but not quite. I could live with it and I guess I’d get used to it over time. I did notice an improvement in voice. Everyone has stories of mis-heard song lyrics (my fave; in ‘We Don’t Talk Anymore’ Cliff Richard sings ‘It’s so funny’, but a mate hears ‘Piss off honey’. It changes the tenor of the song somewhat) but with these you finally start hearing what the songwriter wrote. Conversation? 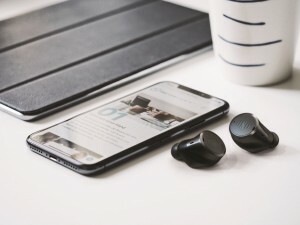 That improves too, especially when the buds are focused on sounds coming from in front rather than through 360 degrees, and certainly in noisy environments where noise cancelling can be dialled up to reduce the background. Television? Both QI and Rosehaven rely strongly on clever dialogue delivered fast and the IQ Boosts improve comprehension of them markedly, but not comprehensively. They didn’t come close to headphones costing one-fifth the price. But headphones don’t work in restaurants. There was no wow moment for me, a common theme among the Nuheara believers. I’m not about to argue with these folk given that everyone hears differently and what works brilliantly for some won’t for others, I’m just glad I didn’t have to spend $649 to find out. Two things: First, the lack of instructions is intensely frustrating. I had to wade around the website to find very basic stuff like, when you leave the restaurant how do you turn them off? (Place in the charger and close the lid). Wade some more and you’ll discover the charger is also a power bank and that a charge lasts five hours on Bluetooth, eight hours in conversation mode. Everything is on the website, you just have to find it. Secondly, the buds have touch-sensitive pads for phone calls and other functions but sometimes when your fingers brush one or both, even when you’re simply locating them to tap, the sliding touch can generate a screech that is fingernail-on-blackboard bone chilling. However they’re nicely comfortable and do a good job with music. But here’s the thing. The standard Nuheara IQ buds do almost well with music and cost less than half as much. The assisted hearing software is simpler, without a personal hearing profile, and they run standard Bluetooth rather than aptX, but there’s a basic equaliser and noise cancelling. At $299 they make the $649 Boosts look expensive. First published by smh.com.au April 2019.